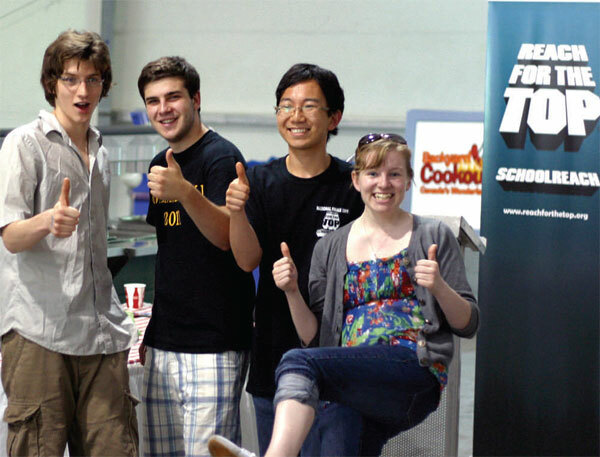 Provincial Champions from across Canada are invited to the National Finals. 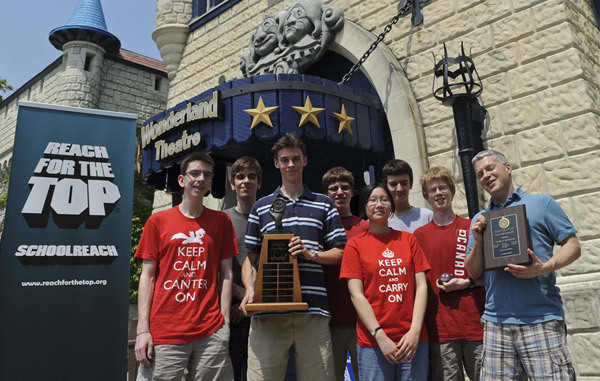 Teams compete in a round-robin tournament to determine rankings. After the tournament is complete, the top teams play in the National Finals games, and the remaining teams compete in Consolation games. Tournament Results, Consolation and Championship Finals results will be posted over the National Finals weekend. Good luck to all the teams participating! Congratulations to the 2016 National Final Champions from Kennebecasis Valley High School in Quispamsis, New Brunswick – Pictured are KVCI Team members: Sam Cookson, Bill O’Connor, Ryan Queen, Andrew Thistle, Andrew Hirtle, Clint Ashe and Coach: Jason Thorne. 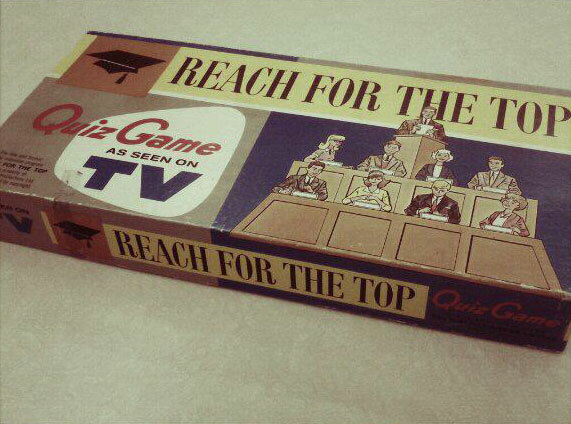 Provincial Finalists travelled by plane, train and car from across Canada and converged in downtown Toronto at University of Toronto Schools for the 50th year of the Reach for the Top National Finals. Teams competed in a full round-robin tournament of 15 games with the Top 8 teams to moving onto the National Finals and the remaining teams competing in Consolation Finals Games. 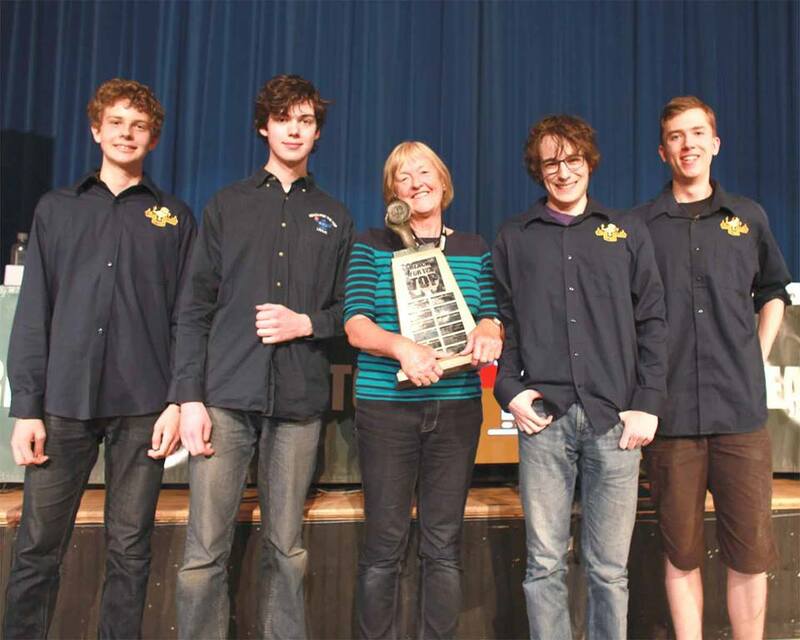 Congratulations to the 2015 National Final Champions from Lisgar Collegiate Institute in Ottawa, Ontario – Pictured left are Lisgar Team members: Aidan Ryan, Nick Sunderland, Alex Roeder, Colin Veevers and Coach: Ruth Crabtree. 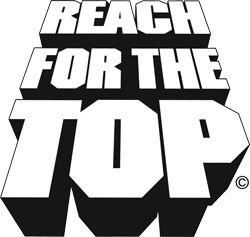 Provincial Finalists travelled by plane, train and car from across Canada and converged in downtown Toronto at University of Toronto Schools for the 49th year of the Reach for the Top National Finals.